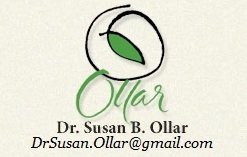 Dr. Ollar accepts payments of cash or check at the time of service. You can click on the button below to make a credit card or PayPal payment. Please feel free to discuss payment options with Dr. Ollar at your initial appointment. In order to best serve her elder patients, Dr. Ollar has become a Medicare provider. For all Medicare billing questions, contact Leland Ruegsegger at 303-280-6262. Artwork and Calligraphy by Laurie Doctor.